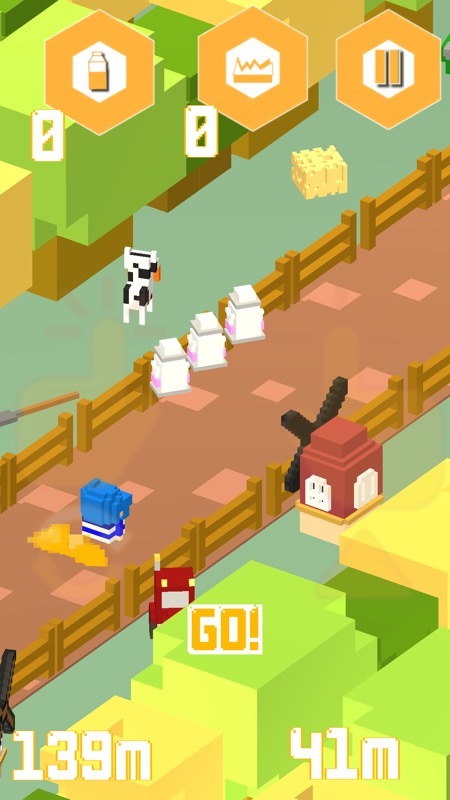 I have a fascination with 'casual' games, even if I'm not very good at them... MilkASwitch is an endless runner in which you have to time both jumps to collect milk or grass with jumps over obstacles. The 'Switch' bit of the name is the added complication, in that only humans can collect milk and only cows can collect grass, so you have to change characters at the right time too. Trust me, it's harder than it looks!!! No Ads, No In-app Purchases! 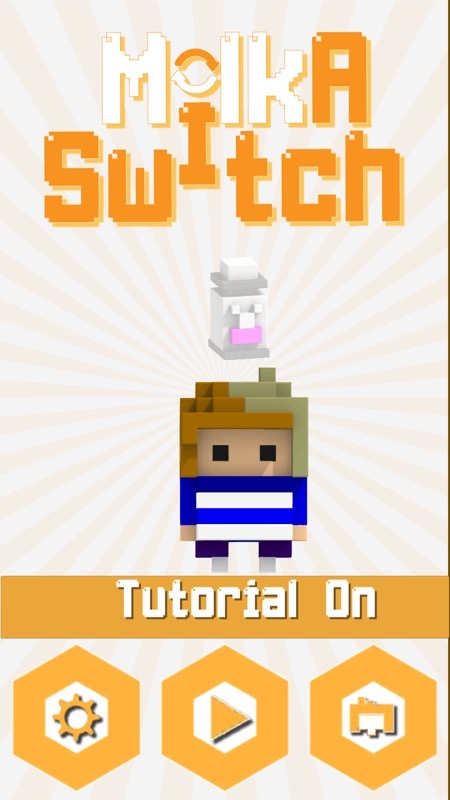 MilkASwitch is a 3D Co-op runner with a twist! Your farm is on the verge of collapse! Milk production has been your only source of income. Work together with your animals to collect as much milk and produce as much milk as possible to save the farm. Enter Project MilkASwitch! A new invention that lets you switch between being human and animal. Remember animals eat grass to produce milk, humans drink milk! Retro graphics and a jaunty soundtrack adorn this smooth 'runner'. Very well done, even if it's slow to start and even if I'd have liked an 'easy' mode for arcade clumsy oafs like me! You can grab this for free in the Store here. It goes up to a dollar in the next couple of days.